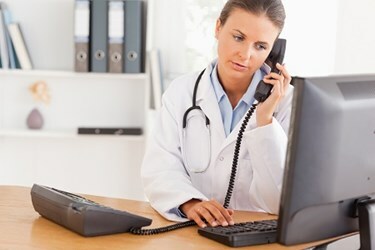 Demand for virtual care services, such as telehealth, is steadily on the rise. And opportunities for additional growth, with clear benefits for patients, providers and employers are within reach. According to a recent Accenture study, one-quarter of consumers surveyed said they have received virtual health care services, up from 21 percent in 2017. The same study revealed that nearly half (47 percent) of all respondents would prefer a more immediate, virtual appointment over a delayed, in-person appointment, while nearly three-quarters said they would use virtual care for an after-hours appointment. In some areas, health care providers are keeping pace with the demand. However, when it comes to virtual care, robotics and artificial intelligence (AI), consumer interest is surpassing what many providers currently offer. So what’s the hold-up? Despite clear advantages, virtual visits or smart remote care must overcome several common misperceptions that are holding back widespread adoption: resistance to change, misaligned internal incentives, fears about integration with existing technology, and reimbursement challenges. Fear of change: Changing the way care has been delivered for 100 years feels scary to a large percentage of the population, especially on the provider side. The traditional doctor-patient relationship is often seen as sacrosanct, but many providers don’t realize that use of tools like smart, algorithm-based solutions can strengthen that relationship. In our work with providers, through smart content and AI, we’ve automated more than two-thirds of primary care visit time. This often makes getting care faster much more convenient and less expensive for patients, lessens the workload on providers, and allows them to deliver care from wherever they are, which is a huge convenience factor. And in parts of the country where long waits for primary care appointments are common, it can be a life saver. Key takeaway: Providers should see this as the perfect time to make a positive change. Internal mismatches: Similarly, some managers and executives need to look at the new technology in a different light. Misaligned incentives and metrics inside an organization can convince the manager in charge of a system’s urgent care and/or retail strategy — its brick-and-mortar clinics and medical practices — that telehealth is competing with, not enabling, his or her area of responsibility. But that needn’t be the case; the two sides can and should work together, using technology smartly to improve care while improving margins. When based on a foundation of evidence-based medicine, these tools can help systems that have moved into a capitated or value-based model perform better financially, because revenue is tied to clinical quality. Key takeaway: Telehealth is a tool that aligns with existing strategies to improve clinical and financial performance. Concerns about integration: In complex organizations, lots of stakeholders are involved, and many have been burned by prior technology adoptions. So smart telehealth as a tool must integrate well with core systems such as EMRs, exchange data seamlessly and provide obvious metrics to judge success. Experience with clients such as Providence Health & Services, Presbyterian Healthcare Services and Greenville Health System shows us that bricks and clicks can work together to enhance care and augment financial performance of the entire organization. Using open platforms and APIs is the technological key to tying those pieces together. When implemented successfully, the technology reduces friction in the system for both patients and providers, and fits seamlessly into providers’ workflow. For example, the tool must link to relevant information about the patient from the system’s EMR, and help the provider by prompting chart-ready notes. Key takeaway: The architecture of a telehealth solution is key; open platforms and APIs can integrate seamlessly into an existing infrastructure. Reimbursement challenges: Reimbursement issues have been the biggest single obstacle to adoption. According to a KLAS-CHIME study, about half of the respondents named reimbursement as a limitation to telehealth adoption. They pointed to slow reimbursement of telehealth services at lower reimbursement rates than in-person consultations. However, things are looking up as 41 states now offer statewide telemedicine coverage with no geographic limit, and other federal and state improvements are under serious consideration. Beyond the reimbursement conundrum, systems and providers are realizing bottom line advantages by employing a smart telehealth strategy. For example, by freeing up capacity in your primary care practices using a telehealth solution for those lower acuity, lower margin visits, you can actually boost the return on your investment by enabling physicians to focus time on higher acuity, higher margin cases. For every 20-minute visit that is replaced by a two-minute telehealth consultation, the practice regains a slot for a higher reimbursement patient who also needs their care more immediately. And this is done without increasing the burden on clinicians. One could argue that by lowering the cost of healthcare delivery, reimbursement rates actually improve with a smart telehealth strategy. Key takeaway: Although reimbursement remains a challenge, the financial rewards of deploying a virtual care solution outweigh associated costs, and more fixes could be on the way. Combining digital telehealth solutions with traditional healthcare services is a smart way to expand access for patients and enhance quality and speed of care, while improving overall financial performance for the system, and for participating physicians. And for hospitals and other health-care providers, expanding their use of telehealth is one of the quickest, easiest and least capital-intensive ways to retain current patients and attract new ones in a highly competitive healthcare environment. As patients act more like consumers — and thus are more likely to take their business elsewhere if they’re unhappy, dissatisfied or inconvenienced — and technology companies focus more on the healthcare arena, this is no time for hospitals and doctors to lock themselves into traditional, hidebound approaches. It’s a time to move with your patients to a technology-enabled solution that gives providers more time with the patients who need them most urgently, while providing timely, convenient care to those with more routine illnesses or injuries. But the clock is ticking, and providers who don’t prepare for a more technology-enabled future may be left behind. Ray Costantini, M.D. is CEO and co-founder of Bright.md.